I felt it was appropriate today to show you a picture of me and my car. Because after work yesterday I went to the bank and paid. it. off. A year and a half early, I might add. 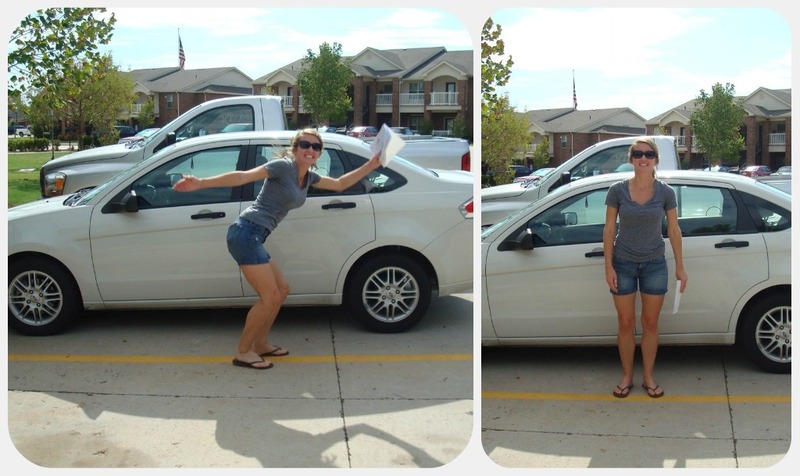 Hence me jumping for joy in front of my car while holding the official papers. 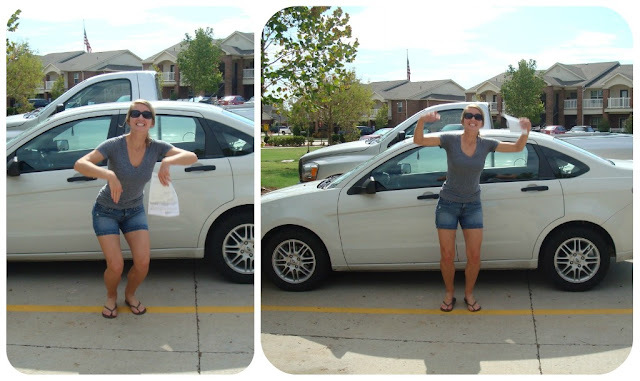 Also, for your interest, here are some car-jumping-picture deleted scenes. I do strange things when preparing to jump. Special thanks to my photographer, Jordan, who braved heat and humiliation to take pictures of his wife jumping around in the parking lot. haha I did the exact same thing the day I payed off my car. :) But I'm not gifted with jumping pictures to start with, add in ice & a winter coat... it didn't make for a good one. But yours looks great! I think I spent the next day saying over & over " I actually OWN something!" I would be jumping too! Nice!